Many of us have judged people, me being one of them. 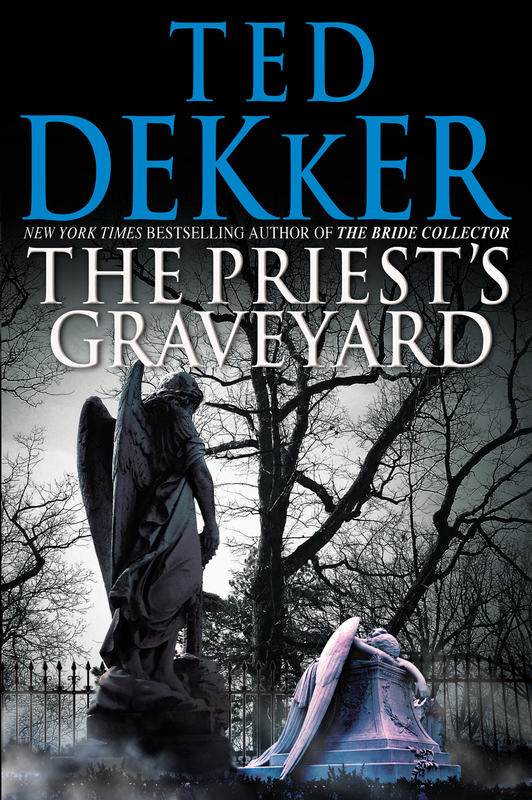 Ever heard of the saying, “Judge not lest you be judged?” Best-selling author of The Bride Collector, Ted Dekker, reminds us of this in his latest thriller, The Priest’s Graveyard. Ted says that he thinks that this is his greatest thriller… I agree with him. It is something that you would expect from Ted, yet totally different. Different than all his other novels. The first thing that readers will notice is that this one is written in the first person female. It is the second time Ted has done the first person point of view, the first one being Immanuel’s Veins, but is the first time he has done it in the female perspective. Some of you may wonder if this is doable for a male author to do this and making it believable. Yes, it is believable and Ted did a great job with it that, in fact, it felt like that a female was really telling the story. The plot was different than any of Ted’s other novels. No FBI detective going after a serial killer this time, folks. Oh, no. This time, the main character, Renee, asks him for help when she decides to go after her rescuer, Lamont, disappears. Renee and Danny are, I believe, some of the most complex and believable characters that Ted has ever penned. Danny is now one of my favorite Dekker characters now. Renee is definitely up there too. Some people shy away from Ted’s books because of the violence and many people stop reading because they believe he has gone to far. Well, if you are one of those people, I am sorry to say that you will not want to read this one. Some of these scenes are very descriptive and gruesome. Not overly so to the point where I had to stop and take a while to resume reading it or skip the parts. I don’t think Ted has ever gone that far. Ted will definitely get a good amount of additions to his already immense fan base when this one comes out. The Priest’s Graveyard will be released 4/19/11. I have received an Advanced Reader’s Copy for review provided by the publisher for an honest review. All thoughts and opinions are mine. Nicely written review. Looking forward to more from you. Why, thank you very much! I am glad you enjoyed it! I have a book that I am reading right now that a publisher gave me. I will have that one up hopefully by Saturday or Sunday. I also just got another book yesterday from a different publisher. I can’t tell you when that review will be up at the moment 🙂 Keep on looking for new posts!